Beautiful spacious home on Isle of Pines new open floor plan and fully updated! New kitchen with quartz counters, subway tile, new custom cabinets, lighting, island, and black stainless appliances. New flooring. Interior painted white, 4th full bath added. Too many upgrades to list. Come see this transformation! One of two masters on first floor. Spacious decking with private sitting dock with lagoon and golf view. Screened porch. Large front courtyard. 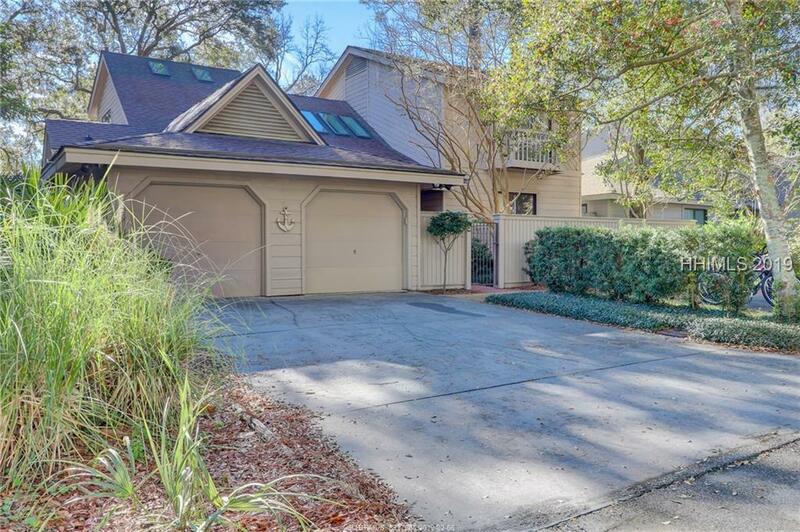 Located on the Isle of Pines cul-de-sac with plenty of privacy and a direct path to Sea Pines Country Club. 2 car garage. Perfect primary residence or second home. Furnishings negotiable.